In the wake of Bill Richardson backing out as Secretary of Commerce, gay activists lobbied Barack Obama to select Fred P. Hochberg as a replacement for the post—in the hope of finally having an openly gay member of a presidential cabinet. 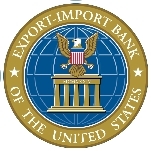 Instead, they had to settle for head of the Export-Import Bank of the United States for Hochberg, a multi-millionaire who has helped fill Democratic Party coffers with hundreds of thousands of dollars. He was sworn in on May 21, 2009, for a term that will expire January 20, 2013. Hochberg was born in 1951 to Sam and Lillian Hochberg. His mother, born Lilly Menasche in Germany, founded a business the same year Hochberg was born: Vernon Specialties, a small home-based mail order company. In time, it grew into the $170 million-a-year Lillian Vernon Corp., and his mother changed her name to match that of the company. Following his departure from Lillian Vernon in January 1993, Hochberg founded his own business: Heyday Company, a private investment firm managing real estate, stock market investments, and venture capital projects. He ran Heyday as president until 1998, when he was appointed deputy administrator for the Small Business Administration during the Clinton presidency. He eventually served as acting administrator of the SBA, along with being on President Clinton’s Management Council. Upon Clinton’s departure from the White House in 2001, Hochberg returned to New York and became a senior advisor to Mario Cuomo’s campaign for governor of New York. Hochberg had been active in Democratic politics, and in 2004, he was a delegate from New York to the Democratic National Convention. He also raised $100,000 for John Kerry’s 2004 presidential run. During Hillary Clinton’s run for president in 2008, Hochberg was one of her top “bundlers” (fundraisers who gather contributions from many sources), reportedly raising $100,000 for her campaign. He later gathered together a similar amount for Obama after he won the Democratic nomination. After the November 2008 election, Hochberg was selected to serve on Obama’s transition team, tasked with overseeing transition at the Small Business Administration as co-Lead of the SBA Review Team. He currently sits on the boards of directors of the Citizens Budget Commission of New York, FINCA International microfinance, Fusion Telecommunications, Seedco, and the Howard Gilman Foundation, and is an appointed representative to the New York State Financial Control Board. 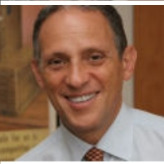 Hochberg is currently a trustee of the Lillian Vernon International House at New York University, and in August 2008, he was appointed to the board of the New York City Port Authority. He also has served on the Democratic National Committee, on the board of Playwrights Horizon and the Wolfsonian Art Museum, and as co-chairperson of the Human Rights Campaign, the nation’s largest lesbian and gay civil rights group. Hochberg lives in Manhattan with his partner, Tom Healy, a director of arts programs at Columbia University.